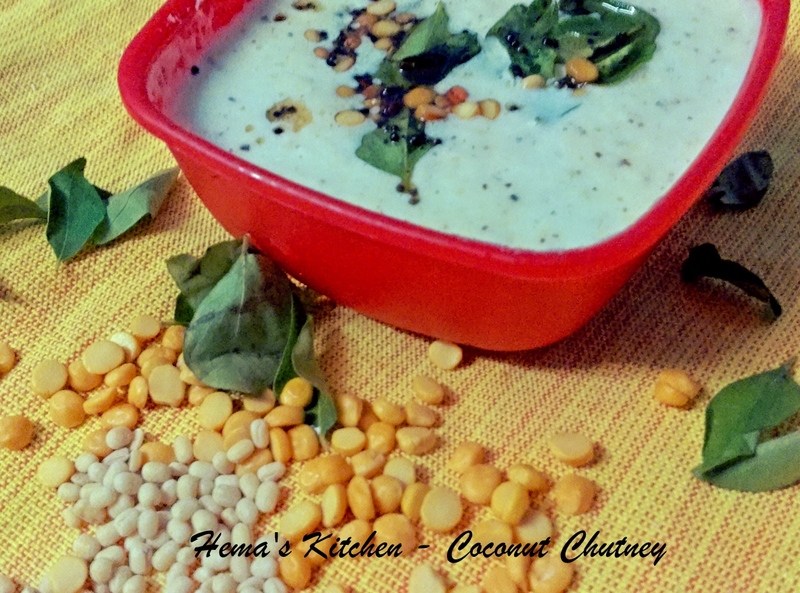 This chutney is a variation of coconut chutney. 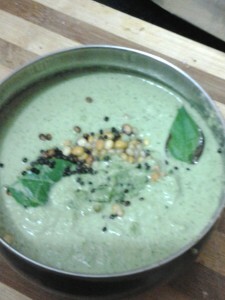 Adding coriander leaves to coconut chutney while grinding gives a great taste to it. It tastes well with bajji and bonda. Yesterday I made this with bajji at home and everybody enjoyed. 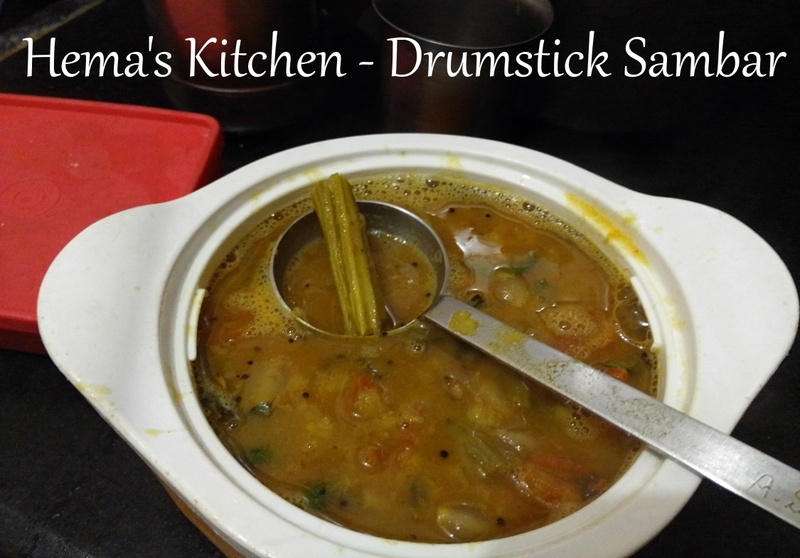 Today I made this sambar with lentils and drumsticks. Drumsticks are abundant in our Home town. But it is too costly here in Bangalore. So whenever I get it less, I make this sambar. This recipe is made with button mushrooms and capsicum (bell pepper). Mushrooms are rich source of proteins and calorie free.A small bell pepper could provide up to three times more of the recommended daily amount of vitamin C, much more than any citrus food. 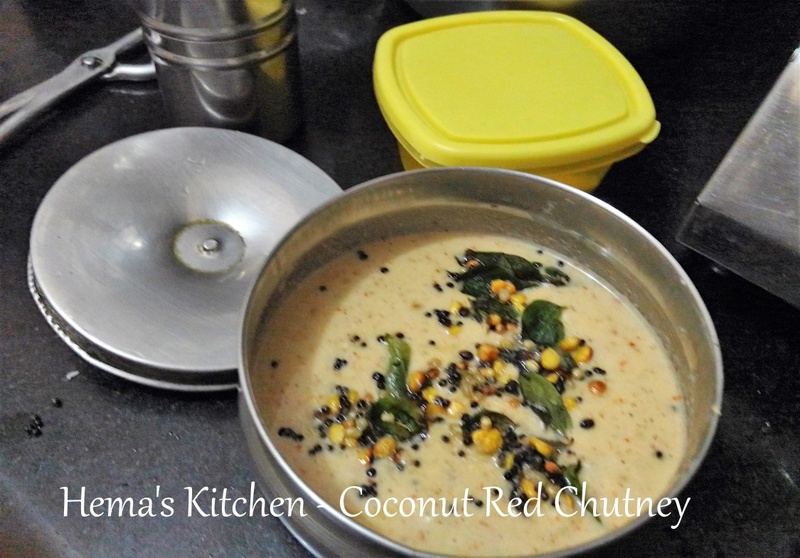 This is a variation of coconut chutney. We add few small onions and red chillies instead of green chillies. This chutney tastes great. This goes well with idlies, dosas, vadas and pongal. 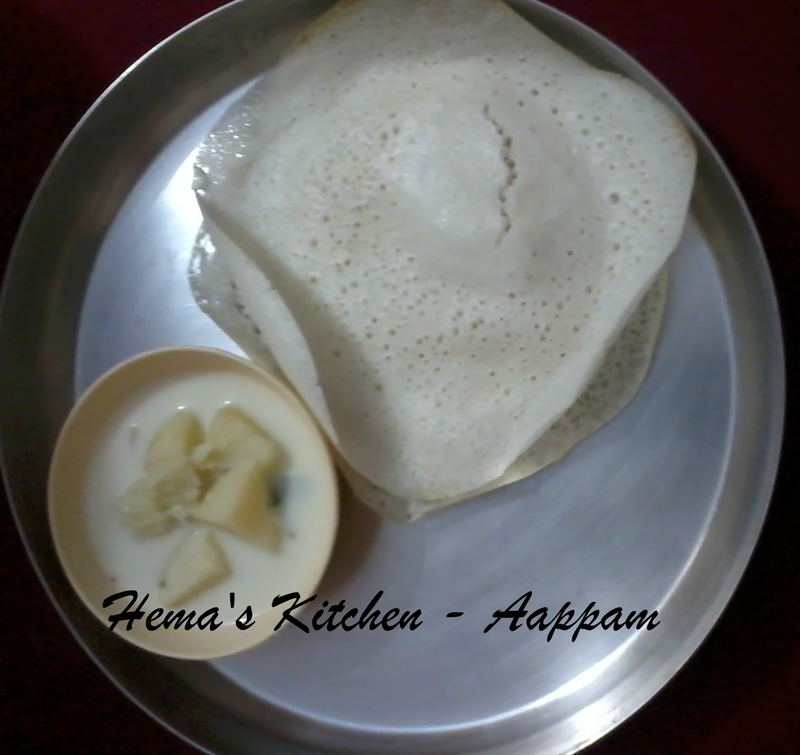 Aappam is one of the recipes of kerarla and tamilnadu. In kerala they mix yeast while in tamilnadu they will not use it. Now I am posting tamilnadu version of aappam. Later I will post kerala version. 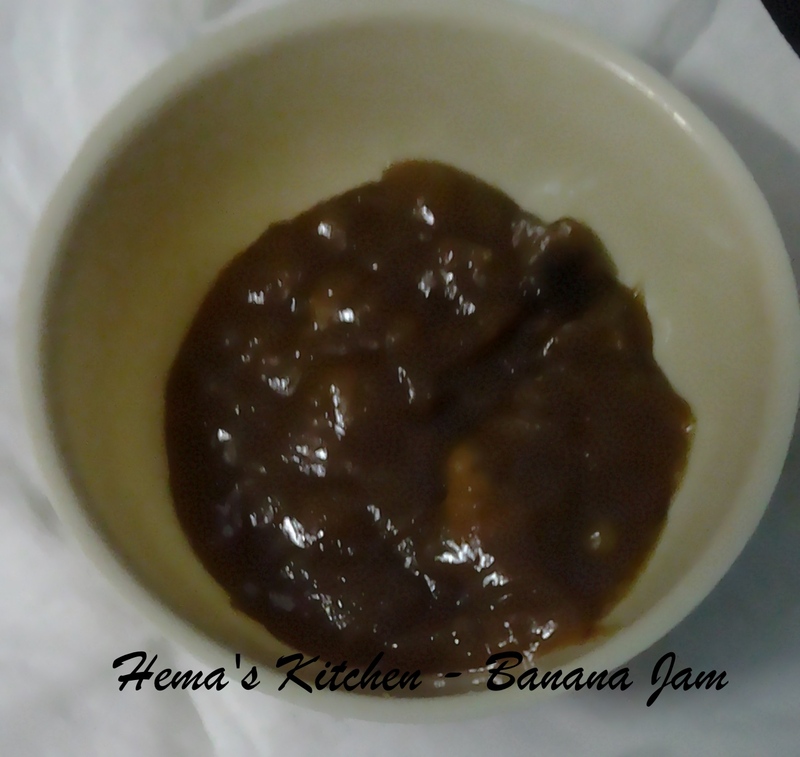 This is a traditional chutney of Tamilnadu made with coconut which can be had with idly, dosa or venn pongal. Most of the houses in Tamilnadu make this chutney on a daily basis. This is easy to make. Just grind all the ingreints and seaon it with seasonings. 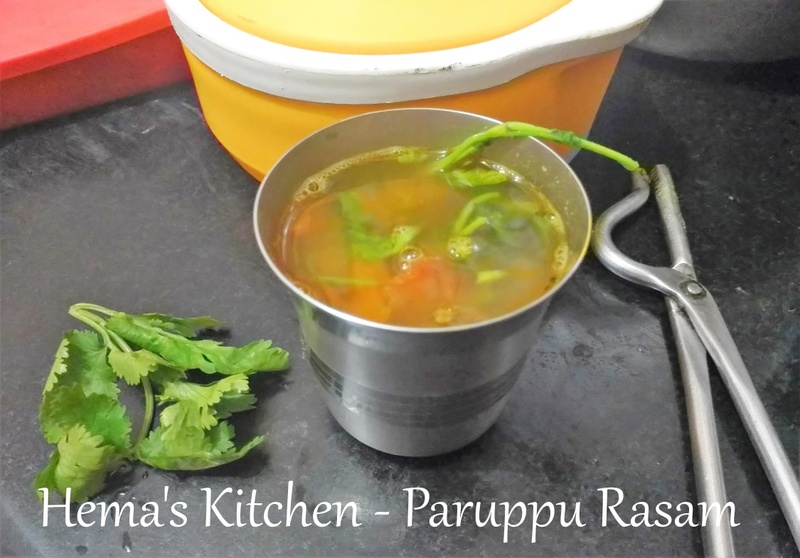 Rasam is an integral part of south indian lunch. My mother used to make different variety of rasams daily. Whenever I see rasam, I always like to have it. Now I am posting rasam made with dhal and rasam powder which I have posted in Powder varieties. 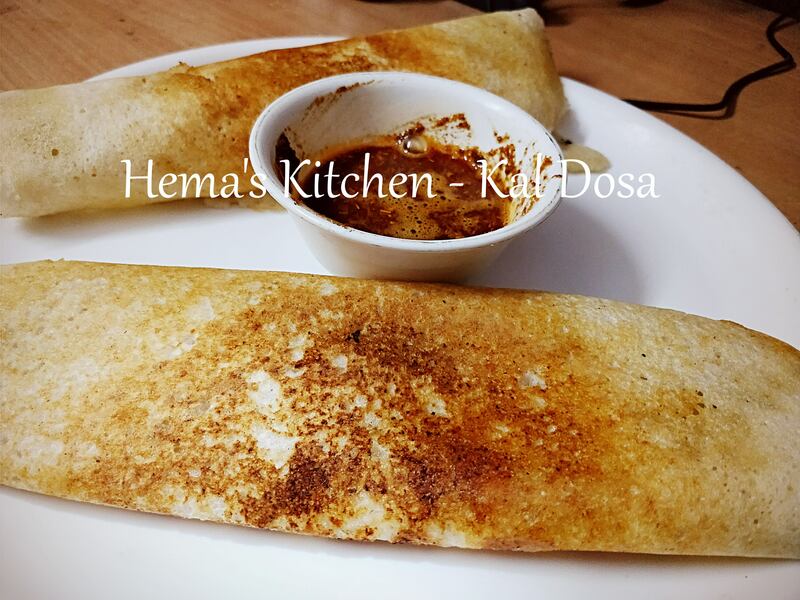 Today I am posting one of the healthy breakfast which I experimented myself. To my amazement, it came out very well. 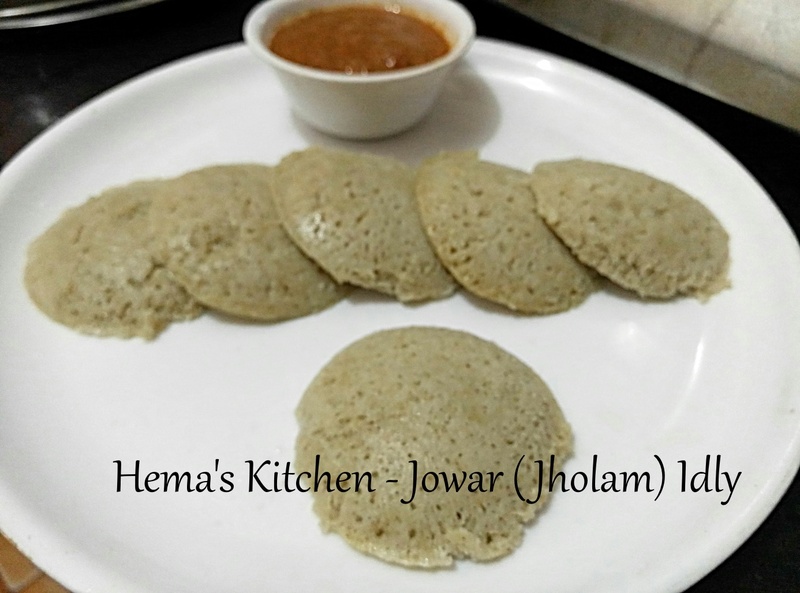 Jowar is a very good source of proteins and it contains essential nutrients like iron, calcium and phosphorous. It also contains vitamin B. It is also gluten free.